Welcome to the 3.5 acre indoor glass wonder that is known as Garfield Park Conservatory. Located on the west side of Garfield Park you will find this structure, actually comprised of 6 multi-faceted greenhouses and 2 Grand Exhibition Halls. Built in 1908, this conservatory has been a Chicago horticulture staple location for over 105 years, providing free 365-day-a-year education and entertainment to the Chicago masses and tourists. Garfield Park Conservatory is actually one of the nation’s premier conservatories, as well as one of the world’s largest conservatories. While being quite well-known for it’s extraordinary landscape and gardening, this establishment is also well known as a premier event space in the city, oftentimes hosting weddings, receptions, parties, or business meetings nightly. Inside your group will find out why this is often called ‘landscape art under glass’, as you explore thousands of plant species on display throughout the 8 total different venues. Discover all the different lush flora as you escape the urban hustle and bustle and step into tropical temperatures. Take a stroll through the Palm House, full of ceiling scraping trees or the highly impressive Fern Room, showing a scene much like prehistoric Chicago, complete with the oldest species in the world, the Cycad. Your group can also explore the Sugar from Sun room, Snow House, or Desert House. 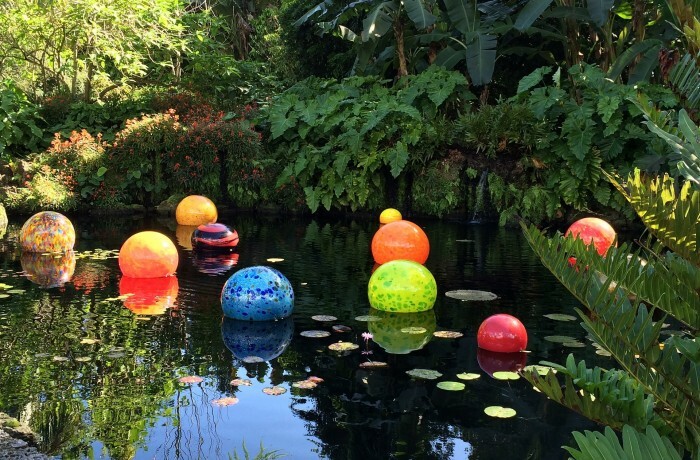 Be sure to check out any of the seasonal flower shows, diverse world-class temporary exhibits, or the ever-popular Garden of Glass by Dale Chihuly. Before you go stop by the Garfield Gift Shop to find exclusive arts, potted conservatory plants, gifts, and books, and even some dining options such as soups and sandwiches.